Vom 20.03.2017 bis zum 21.03.2017 wurden 40 Knowledgebase Artikel veröffentlicht. Titel: Windows 2008 R2 server displays blue diagnostic screen after upgrading the hardware version and vmtools. This article describes how to disable TLS 1.0 in vRealize Automation. vRealize Automation uses TLS 1.0 or later for all communications. The actual protocol is negotiated and is the latest possible protocol that is supported by the server and the client. In most cases this is TLS 1.2. Depending on the security policy, you might need to disable TLS 1.0 in vRealize Automation server components. In this case, newer versions of TLS 1.1 and 1.2 will be used. All users with Horizon DaaS Platform 6.1.6 should install this hotfix as soon as possible. The hotfix is required to address a known security vulnerability. For more information about the issue, see the VMware security advisory. When you create an Encrypted or Secure string on one Node, the string is not replicated to the second node in the cluster. You cannot see the encrypted/secure string when you login to the Java Client on Node 2. Provisioning using the SCCM templates fail . Logging into the virtual machine through the console and looking at the Guest agent logs, you see repeated attempts to contact the manager server. After upgrading the hardware version on a Windows 2008 R2 server that has the latest VMware Tools installed, the virtual machine experiences a blue diagnostic screen when try to power-on. You see the error to: STOP: c00002e2 Directory Services could not start because of the following error:The system could not find the file specifiedError Status: 0xc000000f.Please shutdown this system and reboot into directory Services Restore Mode, check the event log for more detailed information. Under Networking and Security, Installation Status appears as Not Ready on the Clusters and Hosts. Clicking on Resolve does not fix the issue vSphere ESX Agent Manager showing Error VIB module for agent is not installed on host ESXi host fails to access VIBs from the vCenter Server. Note: For additional symptoms and log entries, see the Additional Information section. You can manage VMware Unified Access Gateway virtual appliance using SSH. By default, the SSH connection to the virtual appliance is disabled. You can regenerate the SSH host keys on an VMware Unified Access Gateway appliance if SSH is enabled. This article provides steps to stop, start, or restart vCenter Server and Platform Services Controller services. 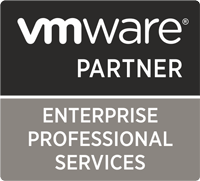 For troubleshooting and maintenance purposes, it is necessary to change the status of VMware vCenter Server or Platform Services Controller services such as VMware Virtual Center Server, VMware vSphere Web Client, or VMware Directory Service. This article provides steps for collecting VMware Unified Access Gateway (formally known as Access point) diagnostic logs from Tenant appliance console. PCoIP connections launched via a browser time out while View client connections are successful. View client logs show failed connection attempts to the internal IP address of the tenant appliance. Applicable when dtRAM or VMware Unified Access Gateway (formally known as Access point) are configured with tenant. In the Enterprise Center Portal, though Use only for External Connections option is checked, two factor authentication (RADIUS/RSA) is applied for users connecting from internal network. This article is to provide steps to increase the memory heap size in vRealize Orchestrator. In heavy usage environments the default settings of the appliance may not be enough. Selecting vCenter HA under vCenter Server settings in the web client, you see message similar to:Error retrieving vCenter HA data. This article provides steps to reset the root password if you have lost or forgotten the existing root password for a vCenter Server Appliance 6.5. Important: This article is explicitly for the vCenter Server Appliance 6.5 and will not work for previous versions. When VM names are used as security tags in NSX distributed firewall, Firewall rules using IP addresses does not apply on virtual machines. VMware tools are not installed in the affected virtual machines. This article provides information on configuration of load balancing with VMware Horizon View. This article provides the URL for Network Load Balancer(NLB) configuration, or health checks of the appliance.